While satisfying these permissions will be the same whomever you’re asking them from, it could be that you’ll need to assess the best approach to getting them. Different industries, even different customers within your same database, may respond differently to a particular strategy. But what should your message be? The truth is, however you undertake your repermission strategy, you’re going to find that a percentage of your database will take the opportunity to unsubscribe from your services. I, for example, looked into how many marketing emails I am signed up for with my personal email account. There were dozens. Honestly, half of them I either had no recollection of asking for, or were no longer relevant to my needs. This is likely to be the same for many others. For some customers, a request to renew permissions will be their opportunity to unsubscribe. However, you can console yourself with the fact that you were not benefiting from any sort of relationship with them anyway. If anything, a ‘spring clean’ of your database is probably long overdue. Customers are more likely to offer you consent to marketing if they value what you offer; that there is an adequate perception of benefit. People want to build meaningful relationships with a brand, and ‘you give us your email, we’ll spam you with marketing messages’ isn't a great trade-off. Renewing consent from your customers is a chance to remind subscribers what they gain from sharing their details, and how their continued consent is worthwhile. For example, membership benefits, rewards and discounts, a better and more personalised customer experience on your site. 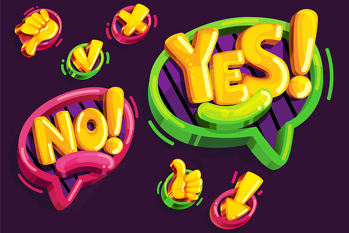 Don’t feel you have to give your customers a simple yes or no choice. Do you use multiple channels to communicate with your database? Then ask for separate permissions for each one. While someone might not agree to receiving emails or phone calls, they could be open to SMS or direct mail communications. Under GDPR, permissions need to be ‘unbundled’ anyway. Similarly, take advantage of the channels you currently have consent for to choose the most appropriate way to renew consent. An email might be too easy to ignore (and silence is as good as a ‘no’ in permission terms), but a carefully crafted direct mail showing them all the great reasons to renew might get a different response. 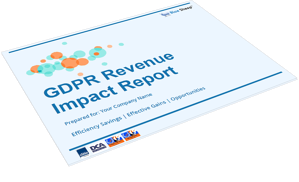 The main motivation for GDPR is to provide individuals with greater control over their personal data and for businesses to be more accountable for how they use it. What has been clear for a while is that consumers want to be able to trust brands with their data, to know that it is not being used in ways they do not agree to, and that it is being held securely. If customers need to know more than the value exchange, you should be open about how you plan to use their data. For example, that it will not be passed to third parties, nor will you send them irrelevant marketing they do not want or need. More important still, that you have robust measures in place to ensure that demonstrate you value data privacy and security. Seeking renewed permissions from your database may not be something marketing teams will look forward to, but it will be a necessity. Therefore, you might as well turn it into an occasion to build a trustworthy, open relationship with a re-engaged (if streamlined) customer base. Find out who to repermission, and where to focus on maintaining your valuable prospects and customers. We'll create free topline analysis for you, highlighting the opt-in statuses within your database and the critical customers and prospects where action is needed. Get in touch and we can get started to show you revenue opportunities, customers and prospects you're in danger of losing, and where best to focus your resources.